Our previous neighborhood had a yearly garage sale. I participated myself, but had a few minutes to run out and shop some of the other houses in the neighborhood to see what they had for sale. 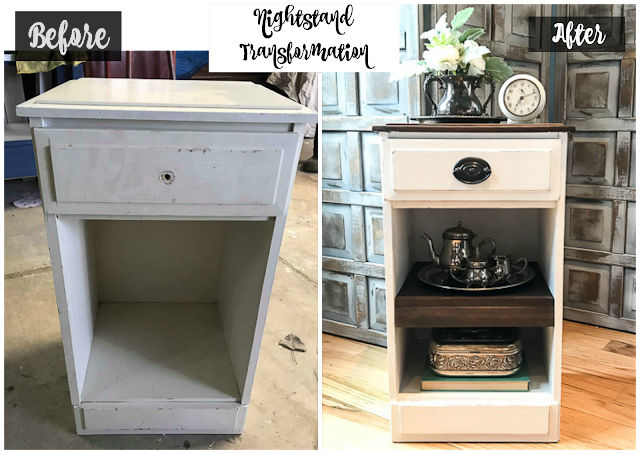 I found this sad little white night stand and when I brought it home, the hubby thought I was crazy. Several times over the last couple years he's said I should just throw it away. Anytime someone says this to me, especially the hubby, it only motivates me to show that I have a vision for the piece and I can make it pretty again.